The American Warmblood Registry offers an award for the highest scored American Warmblood shown at the East and West Coast Sallie B. Wheeler/US Hunter Breeding National Championship. The Sallie B. Wheeler/US Hunter Breeding Championship was created in 2002 by the United States Equestrian Federation to increase awareness of the Hunter Breeding division and provide an arena for handlers, owners, and breeders to showcase their talented young hunter prospects. The National Championship is open to yearlings, two-year olds, and three-year olds and $1000 in prize money is offered in each class. 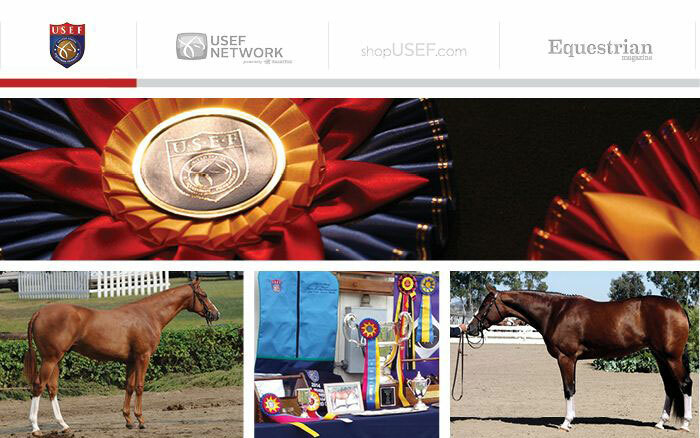 There are no qualifying requirements for the Championship and any horse that is recorded with USEF and USHJA is eligible to compete. Classes are judged on conformation, way of moving, quality, substance, and suitability to become hunters. The Sally B. Wheeler Championship will be held at the East Coast on August 27 at the Virginia Horse Center, Lexington/KY, and at the West Coast on August 31, 2016, at the Del Mar Horse Park in Del Mar, CA.